The Fundamental Question - Is Chaco Canyon just another large Puebloan center or is it a special and unique cultural phenomenon? 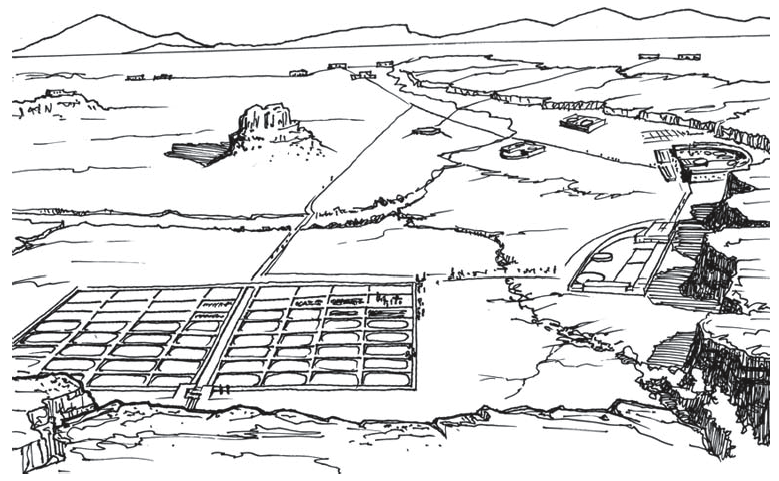 My conclusion after five years of intensive research is that the Chaco Canyon Anasazi were much more ingenious than has ever been imagined. The Chacoan mastery of the natural environment to produce, transport and store corn is so unique that their agricultural methods have escaped detection for more than a century. 2001: A Fortunate Discovery - In 2001, I was invited by the Mexican government to document a newly discovered site that contained dozens of granaries in the northern Sierra Madre territory of the Paquimé culture. Upon returning to the USA, I did an exhaustive inventory of the Anasazi archaeological literature and found there was no provision for long-term grain storage in a region that experienced extreme yearly fluctuation in rainfall. In many years, there is less than four inches of rainfall at Chaco Canyon, for instance. There would be no corn grown locally in those years. How could these people have survived for a 200-year time period and accomplished such large-scale construction projects? 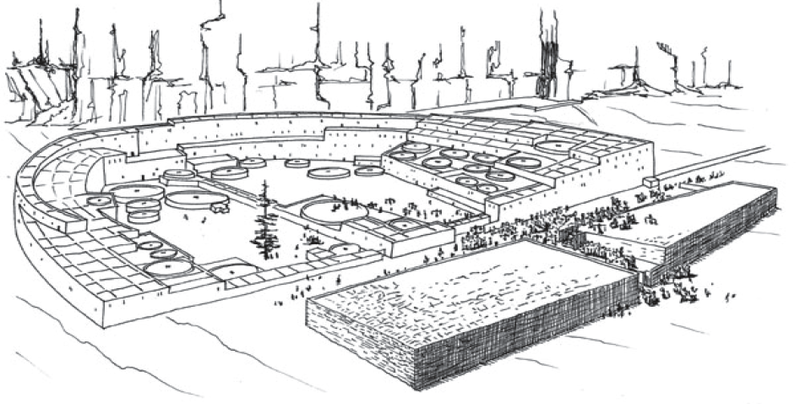 2002: Finding the Foundation Required for Practical Lifestyles in a Complex Culture Completely Dependent on the Uncertainties of Nature - In 2002, it very quickly became clear that in approximately 25 percent of the years during the Chacoan era there would have been complete crop failure. About 50 percent of the time, crop production may have reached the level necessary for basic survival. It was the remaining 25 percent excellent rainfall years that made the Chacoan culture possible. This required an extensive system of granaries. I am able to demonstrate that kiva construction at Pueblo Bonito coincides with periods of high rainfall. Chaco Canyon Rainfall Graph - Previously, archaeologists focused on the average rainfall. I propose that the high and low rainfall years controlled architecture and culture of this region. 2003-2004: Discovery of What Might Be Expected - For the next two years, I researched this subject and published a number of small articles on my progress in Mexico. One of the discoveries I made is a valid alternative to religious kivas. There is a great deal of evidence that the Chacoans were mound builders, as were all of the complex cultures of their time period. This provided an alternative religious structure to the kiva. 2005: A Last-Minute Surprise - In 2005, after four exhaustive years of research and more than $25,000 invested, I realized that the agricultural model currently provides no visible means of long-term food production to support the construction of the monumental architecture. In the last week before I closed this article for publication, I discovered how the Chacoans made fertilizer. This breakthrough in interpreting currently existing data provides for an entirely new model for the Chacoan culture, and has implications for pre- Columbian cultures from Mesa Verde, Colorado and south through Mesoamerica to the Yucatan and Guatemala. 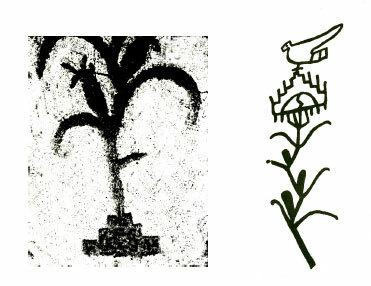 2006: Anasazi Rosetta Stone: Agricultural Fertilizer Symbols, Tarahumara Ethnographic Interpretion -	If, as I propose, fertilizer, fertility, and corn agriculture were the religious and practical foundation of Anasazi, Hohokam, and Paquime culture then it follows that there should be an omnipresent symbol that represents the essence of Chacoan Anasazi society. The Scarlet Macaw atop the corn stock represents the male sun god fertilizing the golden corn pollen. From this union comes the fertility of both the pollen as well as the stepfret fertility symbol at the roots. I propose that this Anasazi symbol is the “Rosetta Stone” that unlocks an essential enigma concerning this mysterious cultures, religion, and lifeways.